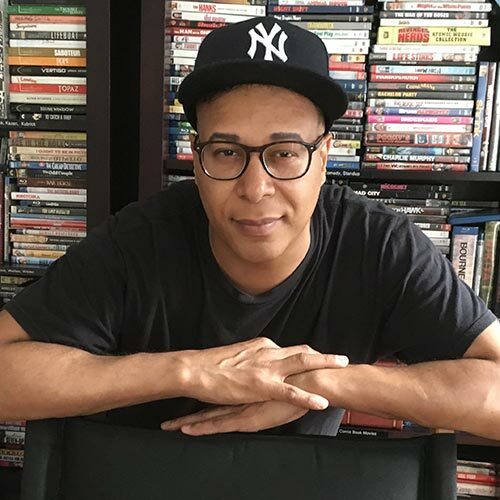 Craig​h​ Barboza has written about film, race and culture for The Hollywood Reporter, GQ, ​Entertainment Weekly, The New York Times, The Washington Post, IndieWire and MTV. His book “John Singleton: Interviews,” ​a ​study of the ​Oscar-nominated director’s work​, is part of the acclaimed series Conversations with Filmmakers (University Press of Mississippi). Over the past two decades, Barboza has covered the Academy Awards and superhero movies, art-house directors and Hollywood icons, home video, film history, comedians and critics. He began his career as a movie columnist at Rap Sheet and was later a contributor at Vibe and Premiere, one of the first entertainment publications to cover the inner workings of the movie industry. From there, he went on to serve as a senior editor at the national Sunday newspaper magazine USA Weekend, which had a circulation of 23 million. Between 2000 and 2010, he was responsible for more than 50 cover stories, many of them profiling the biggest names in Hollywood, including Steven Spielberg, Spike Lee, Todd Phillips, Halle Berry, Leonardo DiCaprio and Scarlett Johansson. He also edited a DVD column, which was later expanded into a standalone website that gave readers a taste of his boundless curiosity about all aspects of moviemaking. A graduate of NYU’s film school, ​Barboza also directed the award-winning 2017 family documentary, “It’s the Fuller Brush Man.” He​ has more than 7,000 DVD titles in his personal movie library and lives in West Harlem, where his fourth floor walk-up is a source of chronic irritation for his guests, himself, his wife and kids and their 2-year-old terrier mix, Chewbacca.